Five cells is a type of logic puzzle. 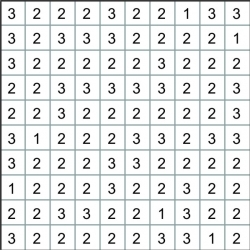 The goal is to divide the grid into regions of exactly five cells. The number inside a cell represents how many of its four sides are segments of region borders (including the border of the grid).